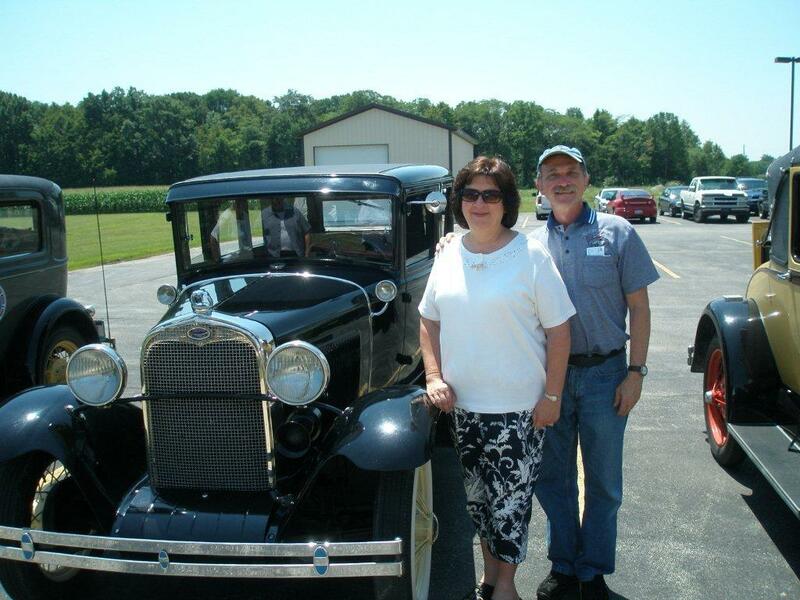 Roger and Linda Byers beside their 4-door coupe. In the past couple of years I’ve written profiles of classic car owners for a publication called Indiana Autos and RV’s Magazine. It’s been fun interviewing car owners. I love to hear how much the car owners have enjoyed finding the car of their dreams and then restoring them. I’m looking for more stories. Do you know someone from Indiana with a classic car pre-1999? If so, please contact me with their name and phone number. Thanks! In the 1970s when he was a young adult, Roger Byers of Fort Wayne purchased a Model A car restoration book. Byers studied the book with hopes of someday restoring his own model. For the next several decades marriage and a family required most of Byers’ time and money. Then came the 911 disaster. Within the next few years, Byers, nearing retirement, had purchased five old cars, including two Model A’s — a 4-door coupe and 1931 roadster with rumble seat. “I told my wife life was too short not to be having fun,” he said. 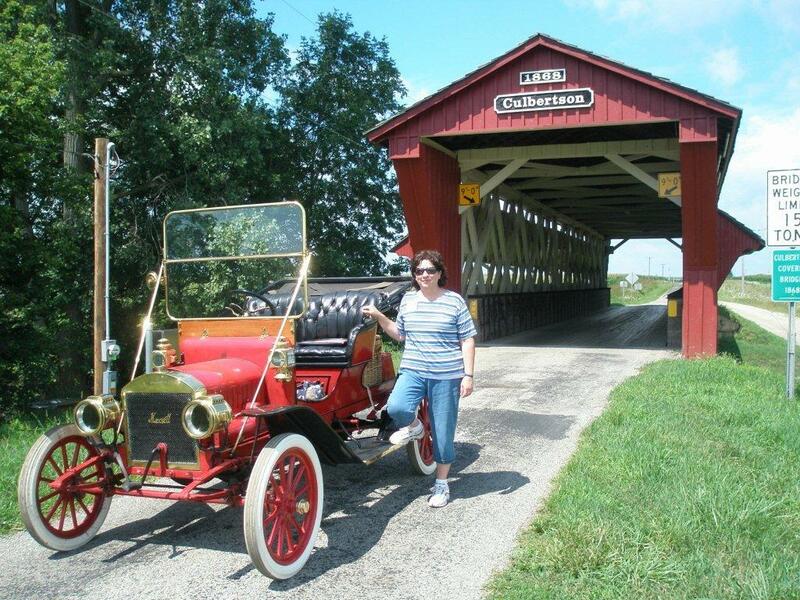 The other antique cars Byers owns are a 1912 Model T with crank start, a 1910 Maxwell, and 1993 Corvette. The Byers drive their 1931 roadster on road trips. The amount of miles Model A club members choose to put on their vehicles varies. “Some people drive their cars everywhere,” said Byers. “Others may only drive the cars for special occasions.” Tom Laupp from Huntington, Indiana, has driven his Model A an average of 12,000 miles each year since he purchased it in 1995. Other club members, like Wayne Hull of Ossian, offer a garage day each May. Any club member who has a mechanical problem with his or her antique car can bring it to his garage in his home’s backyard and he will put the car on a hoist. “Our club contains many antique car experts,” said Byers. He estimates 40 car owners show up at Hull’s house each spring. For more information about the Old Fort Model A Club contact Roger Byers at 260.482.7179. Note: Other classic car stories I’ve written are posted on my blog. Click “Classic car’ in the tag cloud on the right of my home page for a search.